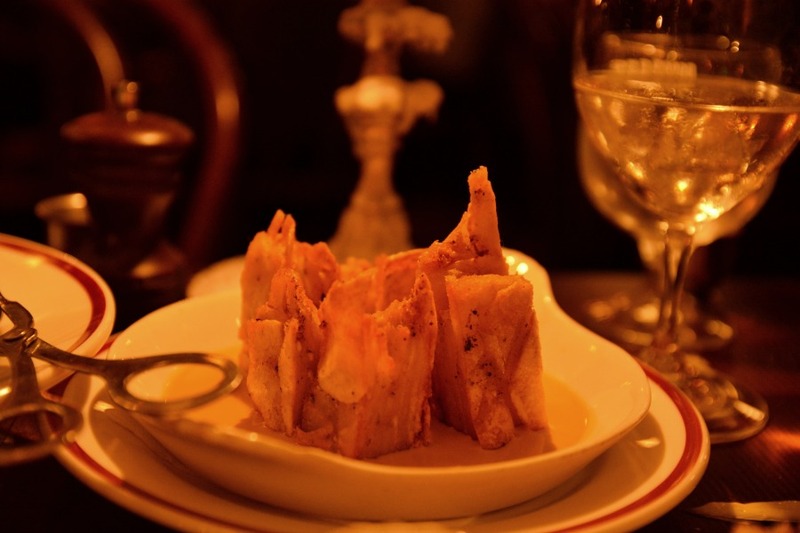 Located in Sydney's CBD, Restaurant Hubert is one of the best French restaurants in the city. It opened mid-2016 and has very quickly become known as *the* place to go in Sydney, resulting in a huge wait if you don't get there early enough, because of their no reservation for groups of less than six policy. 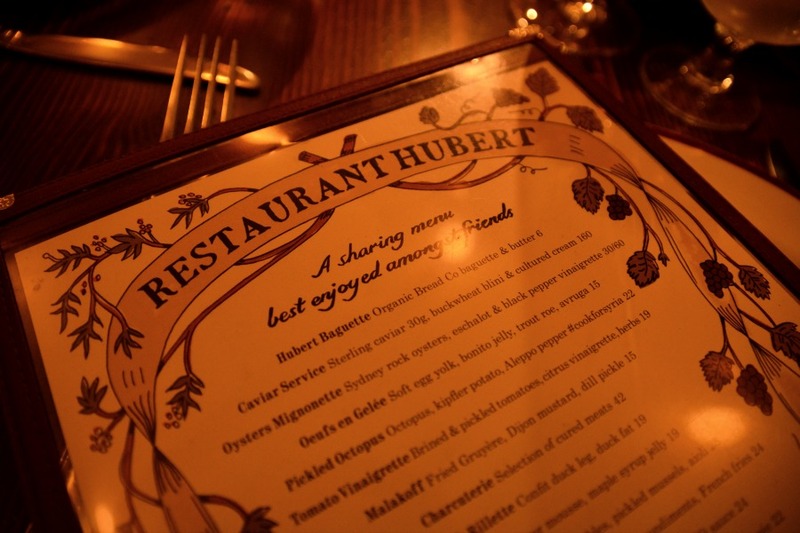 While Jasiminne and Andrea were both staying with me, I wanted to show them the best Sydney had to offer, which naturally involved an evening at Restaurant Hubert. We got there nice and early (around 6pm) to make sure we got a table, and managed to persuade the waitress to move us to a table by the stage instead of shoving us right by the toilets like she originally tried to do. 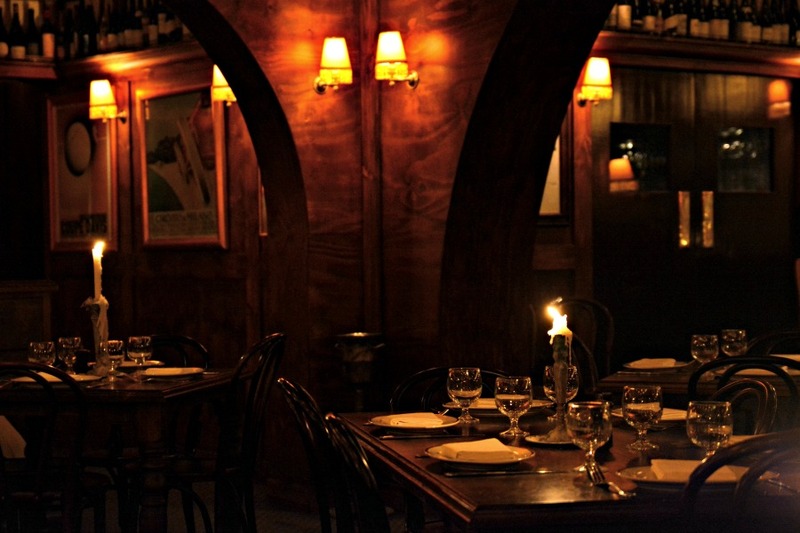 The restaurant is super dark (so please excuse the photos) - think post-war era European styled basement restaurant - with all dark woods, candles, and dark velvets everywhere. You can either sit in the main restaurant or at the bar. I've sat at the bar before and I actually much prefer sitting there to the restaurant, but it's only really suitable for two people otherwise it's hard to hold a conversation. We decided to forgo starters and just go straight to mains, but we did get the Hubert Baguette while we waited as the butter they serve with it is incredible, it's perfectly salty and just beautiful spread all over the fresh baguette. 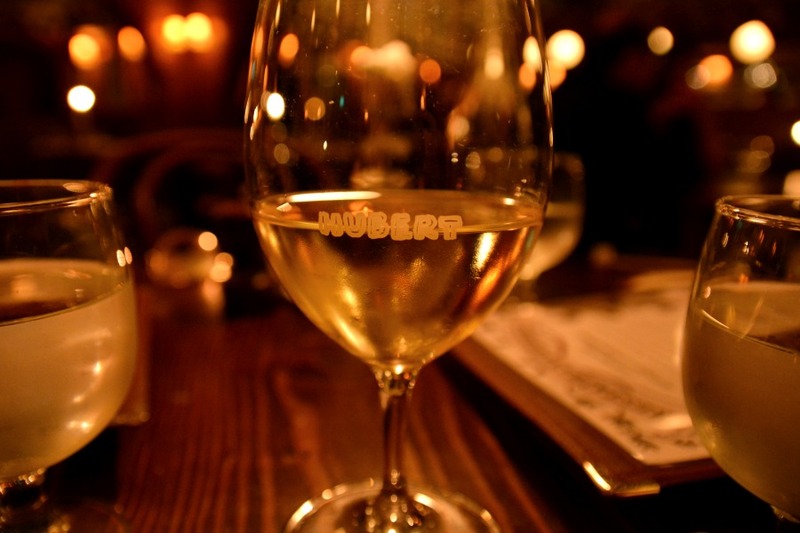 We also ordered wine - Hubert have a brilliant wine list so do try a couple of them. 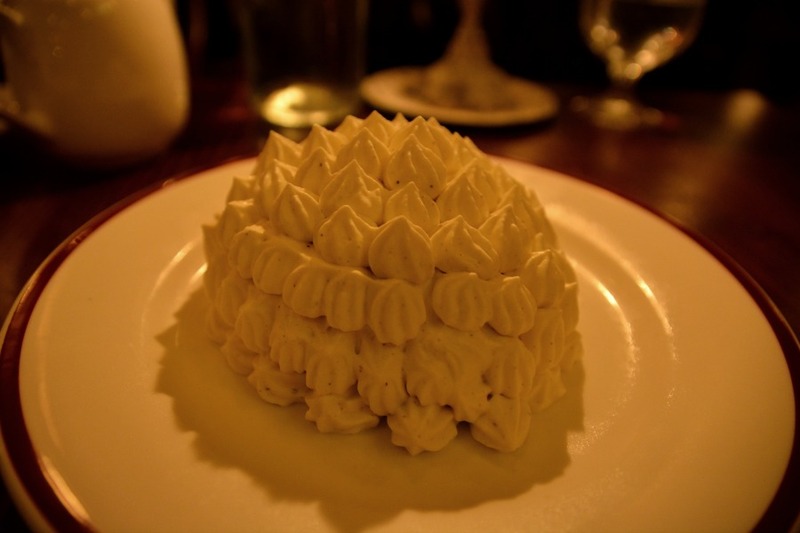 We decided to share a dessert, and chose the Vacherin, which is a combination of Sauternes ice cream, meringue, honeycomb, lemon & mandarin. It was pretty darn delicious, and we managed to polish off the majority of it before we just got too full. 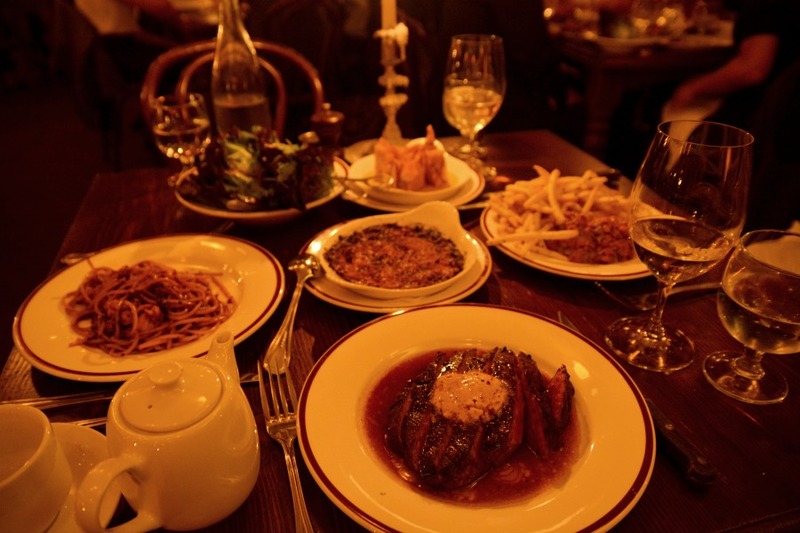 Restaurant Hubert is run by the same people who own Shady Pines Saloon, Frankie's Pizza, and The Baxter Inn. For any Londoners, they're basically the Sydney equivelent of Inception Group who own Mr Foggs, Bunga Bunga, Barts etc over there. Their bars and restaurants are wildly popular, hyped up a crazy amount, and you're pretty much guaranteed great food and drink. Unfortunately the staff at Restaurant Hubert are always quite rude and have a bit of a nasty attitude. Every time I've been I haven't really experienced great service. 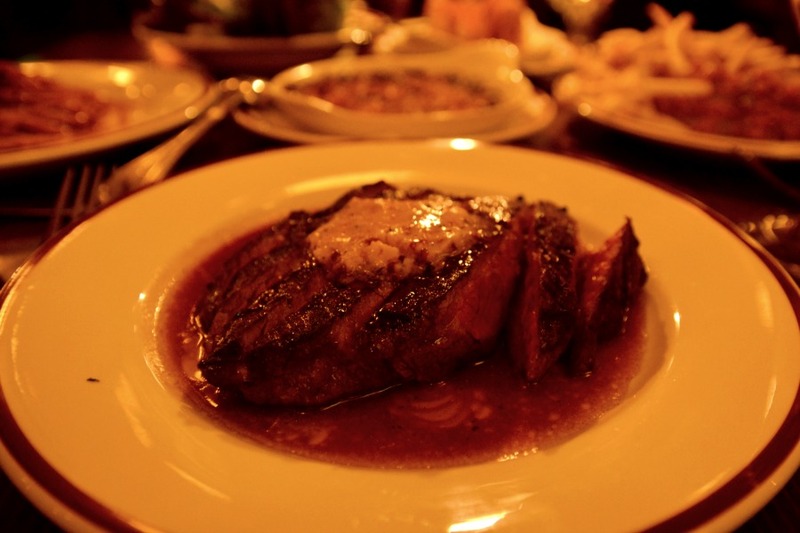 Despite this though, I go back again and again whenever I need a little bit of Europe and a great steak. 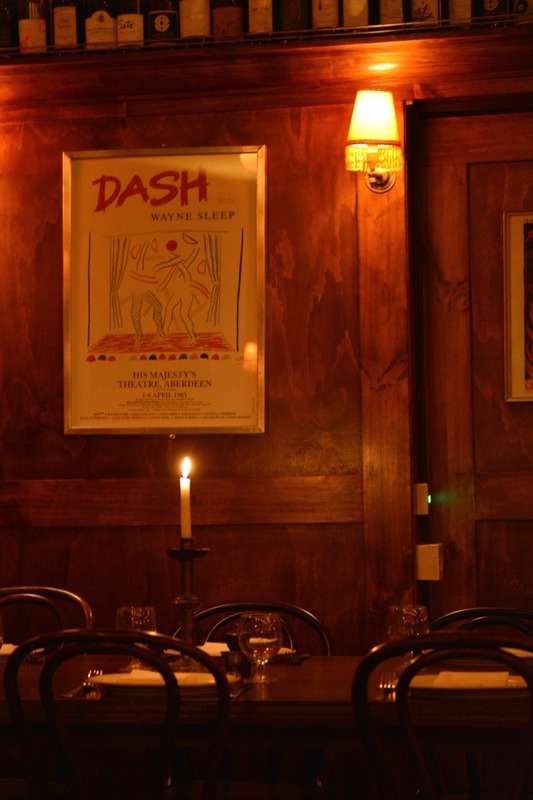 It's cosy, it's warm, it's inviting, and it feels as though you've been thrown back in time from the moment you drag those heavy wooden doors open and step down the winding stairs. 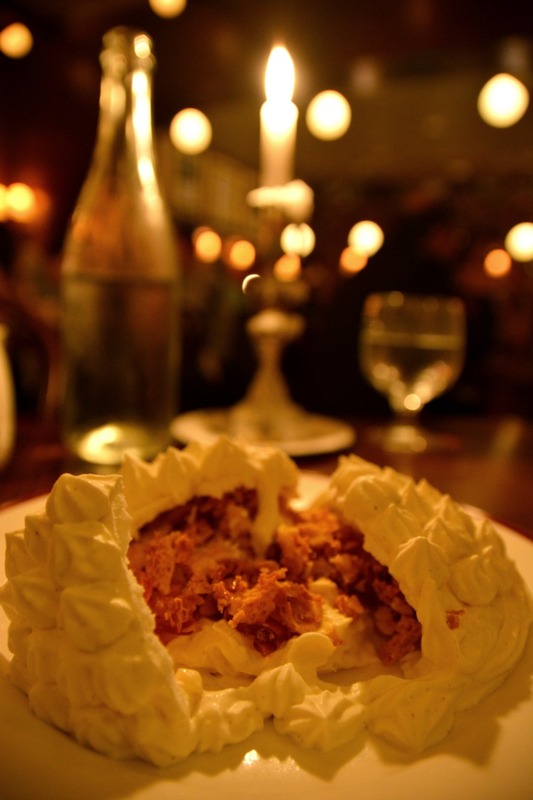 If you're in Sydney during winter and you need some heavy comfort food and a little bit of trendy luxury - go to Hubert, I promise you won't regret it! We have a couple of favourites likes this - where the food is so good, the grouchy staff cancel it out!